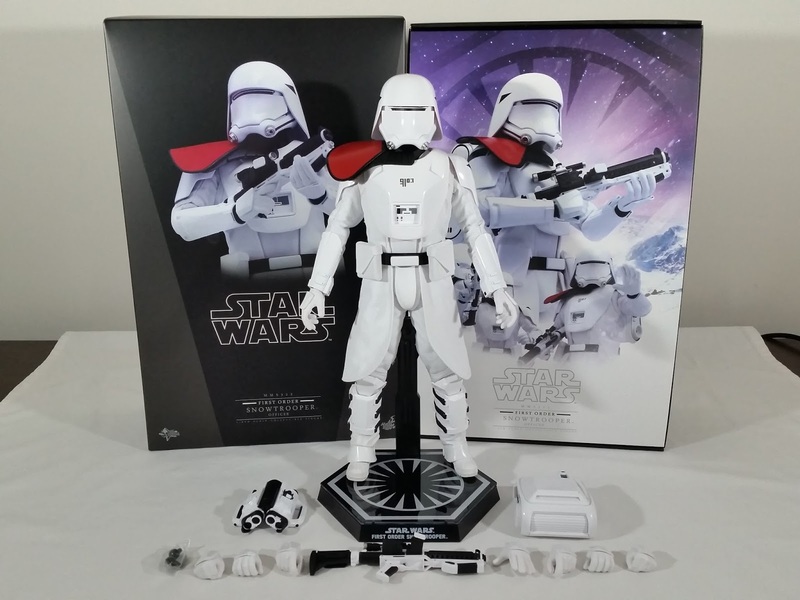 When I received the my first Hot Toys figure from The Force Awakens in the Stormtrooper Squad Leader, I was pretty disappointed due to the restrictive ribbed undersuit. 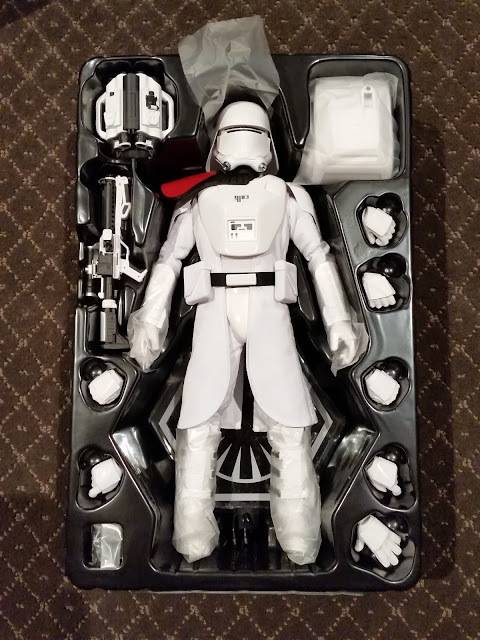 Fortunately, there's no disappointment in that regard with the new Snowtrooper! 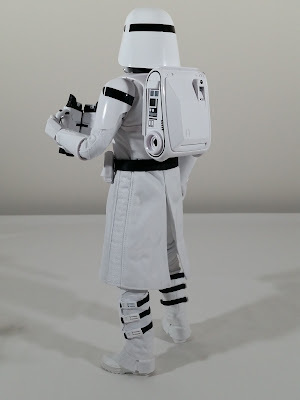 For my full video review, which also compares it to the previous Sideshow Snowtrooper from The Empire Strikes Back, click the link below to head over to the Kool Kollectibles YouTube channel. The packaging is the usual classy style in this price range of Star Wars figures. Again, the artwork on the cardboard insert is nice and shows off the figure well. 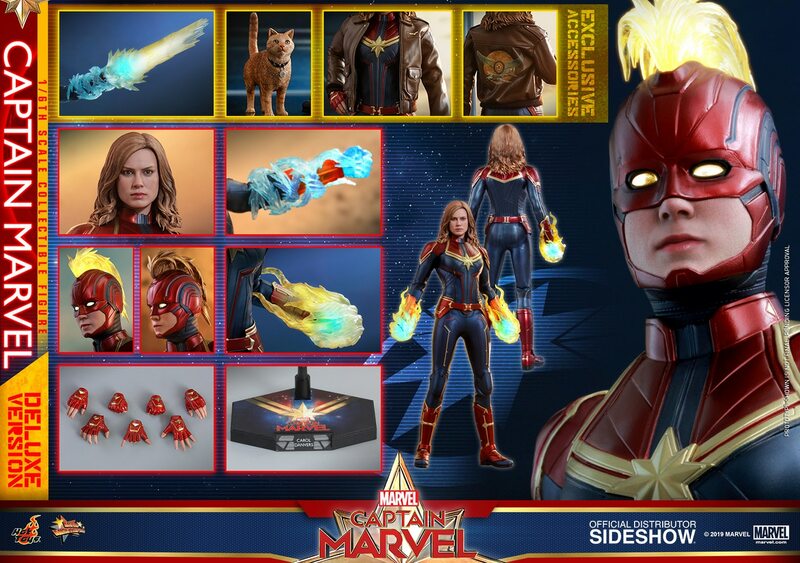 The figure comes with an adequate array of accessories, all nicely painted and designed. 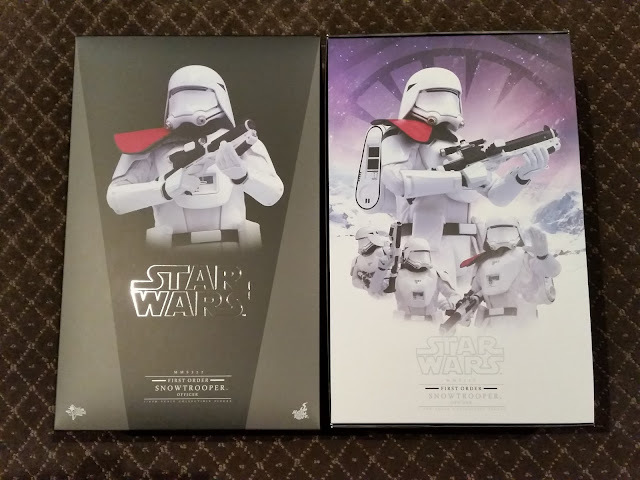 I only got the single figure release of the Snowtrooper Officer, and not the two pack with the Officer and regular Snowtrooper. 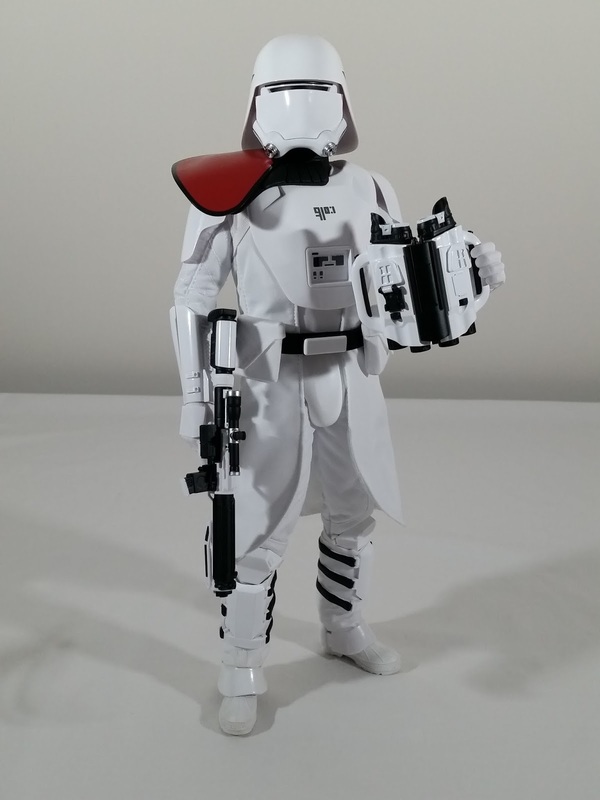 So I only got the longer rifle and not the standard short blaster. But that's not too big a deal for me. The binoculars are nicely designed, and fold up almost like a handbag. There are hands that can be used to grip the side handles of the binoculars if you want to pose it with them. The backpack is also nicely molded, and fits onto the back armour plate with a simple hook mechanism. The hands themselves swap out fairly easily, and are nicely molded with details that really make them look like thicker gloves ready for snow. The pauldron is glued to the chest plate and can't be easily removed unless you break it off or heat up the glue somehow. It may damage the armour so I wouldn't recommend it. I do like this design of the helmet, although such a thin visor to see through seems counter-intuitive to seeing your enemy clearly. But the glossy white paint app and black panel-lining all seems good on mine. The outfit tailoring and design is definitely the best thing on the figure for me. The various layers and different material used is very nice, and all fits well to complete the overall look. The only nit-pick I could have is to say everything on the outfit looks a little too white and clean. A little bit of weathering would have added a bit to the realism, much like it was used pretty well on the old Sideshow Snowtrooper.